One of my earliest Christmas memories is very magical and to this day I swear very real. I would have been around 5 years old in Portugal on Christmas Eve celebrating with the many cousins, aunts and uncles – just before presents were delivered at midnight. We all went outside and looked up at the dark star filled sky and in the distance was Santa’s sleigh and a very faint sound of jingling bells. I have no explanation for it – just a very magical memory that has made me appreciate the magical side of Christmas to this day. It is that memory that motivates me to provide my children with a magical Christmas every year. Don’t get me wrong, they do not get overly spoilt and always contribute to the larger community at this time in several ways – through donations of old toys to purchasing presents for the less fortunate, just to name a few. But in all this reality we infuse their lives with magic – something that I want them to have in their childhood and this time of year is full of it. Movies such as ‘The Polar Express’ and ‘The Guardians’ are watched alongside some of the old favourites. A discussion on the power of belief always accompanies these movies – usually brought up by the kids. In our house we have discussed how some people celebrate Christmas and others don’t and that some people believe in Santa and others don’t. 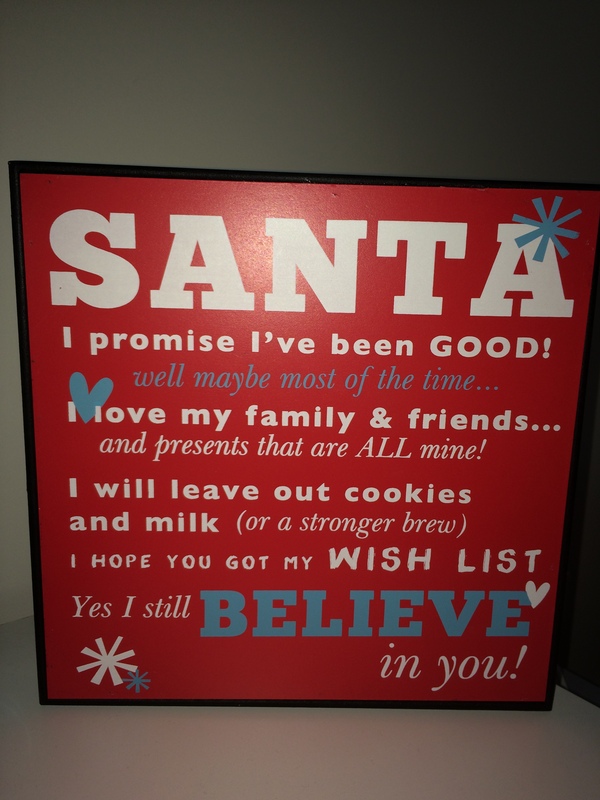 We re-iterate that we, their parents, believe in Santa and that the reality is that those who believe in Santa get presents from him as well as their parents and that those who don’t believe in him only receive presents from their parents. This came about when my eldest came home from school when he was 6 and asked why an older child had told him that Santa did not exist. He was satisfied with my explanation and we have stuck with it ever since. Every year the boys receive a personalised video message from Santa – thanks to the Portable North Pole. They are always surprised by how much Santa knows about them, their goals and achievements. They wait in anticipation to find out whether they have made the nice list on Santa’s radar that measures behaviour. This year they did. Phew…. last year they were on his ‘watch list’, where they had the opportunity to improve their behaviour – and they did. If we are out and about we always go up and say ‘hello’ to the Santa sitting on his throne – the boys understand that these are not “The Santa” – as he is far too busy getting ready for Christmas. But they know that anything they need to tell him will get back to him via these emissaries. When he does come, Santa will be very well catered for at our house – he has his own cup and plate and always enjoys a glass of milk and cookies. The reindeer are also well looked after with a carrot or two and some oats to give them the energy they need to keep going. Santa only ever brings one or two presents for each of my children. We had to explain that the GFC hit everyone including the North Pole and with so many children to cater for and deliveries to make within a limited space of time Santa can only do so much per child. This year we are ramping up the magic. Over the last few years I have been thinking about getting an elf on the shelf but hadn’t quite got around to it. After watching some of the mischief that our friends’ elf, Barry, has gotten into over the last week I have finally decided it is time. Can’t wait to see the boys faces as their elf friend gets up to no good. I am hoping that all this work will give them one or many memories similar to mine that will last them a lifetime. An innocent love of Christmas and everything else magical in our world. The Tooth Fairy, the Easter Bunny and all other magical folk are always welcome and celebrated in my house – after all we only live once!